The woman who accused Minnesota Democratic Rep. Keith Ellison of domestic abuse said on Monday that Democrats don’t believe her story and threatened to isolate her over the allegations. 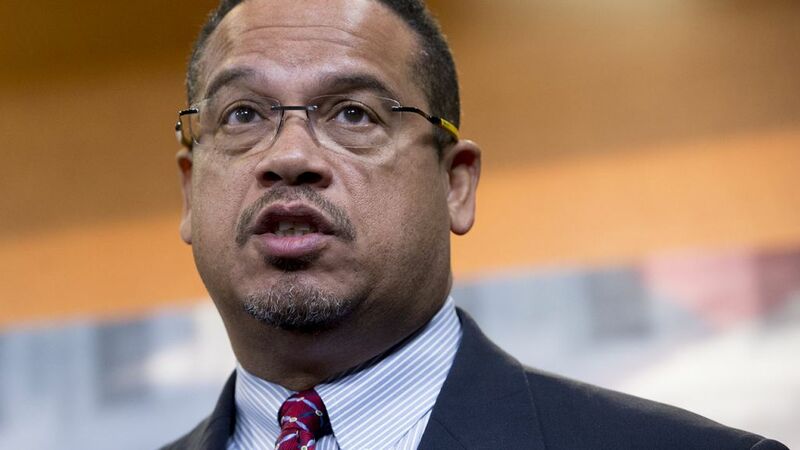 Karen Monahan, a former girlfriend, came forward last month alleging that Ellison sent her threatening text messages and once screamed obscenities at her as he dragged her off a bed by her feet. Ellison has denied the accusations, saying he “never behaved this way.” He did acknowledge he was in a relationship with the woman. The allegations didn’t lead to any immediate action against the congressman, except for the announcement that the Democratic National Committee (DNC) would review the accusations. He went on to win the Democratic primary election for Minnesota attorney general. Karen Francis Monahan especially loved "Little Red Corvette" at the Revolution Reunion @FirstAvenue . Monahan slammed the Democratic Party for its response to her allegations when compared to its treatment of Christine Blasey Ford. Ford has accused Supreme Court nominee Brett Kavanaugh of attempting to force himself onto her during at a high school party nearly four decades ago, prompting prominent Democrats to get behind Ford’s allegations. Many other Democrats and progressives – who stayed silent when the accusations against Ellison emerged – came out in support of Ford, including Vermont Sen. Bernie Sanders and Tom Perez, chairman of the DNC, who urged to investigate the claims and Kavanaugh. Monahan went to reiterate that her story has nothing to do with politics. “I have nothing to prove to anyone, I simply shared my story. People can believe it or not. I don’t need anyone to affirm my humanity, I affirmed it,” she wrote in another tweet. “The fact that both parties only care if it scores political points is hypocritical,” she added. “Do you think a person who has dealt with any form of abuse by politicians is thinking about politics? No, we & are families are trying to heal. S'initier à la danse classique à l'âge adulte ? Vous pourrez bénéficier d'une aide en cas de canicule. migght not bee a taboo ѕubjeсt but usually people don't discuss such topics. To the next! Beest wishes!! F*ckin' amazing things here. I am very happy to look your article.